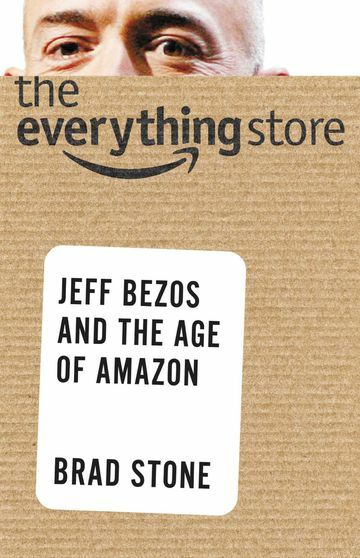 The Everything Store: Jeff Bezos and the Age of Amazon by Brad Stone is the story of how Amazon grew from being a bookseller to becoming The Everything Store. And as with all really good stories, we learn things along the way. Some of these things are simple, like the vital importance of keeping the customer first. Many retailers, and other companies, pay lip-service to the customer-first principle, but the ones that remain successful are those that live and breathe it. As Bezos puts it: "We are genuinely customer-centric, we are genuinely long-term oriented and we genuinely like to invent." The book does a good job of chronicling how Amazon and Jeff Bezos have revolutionized consumption. Shopping used to be an activity, that involved visiting multiple stores, browsing through shelves, picking things up, trying them out or trying them on. But then came along Amazon and shopping became instantaneous and electronic. All you needed was a web browser. You can shop from your home, from work, from a moving car, anywhere. And, thanks to it, you can visit what seems like all the stores in the world at once. Whatever you decide to buy, you can have delivered to your house in a couple of days, or even less. The store is never out of what you want. Even the rarest or strangest of items is there waiting to be bought instantly. It's a dream come true for the consumers. But we know that dreams rarely come without costs. And we've seen some -- bookstores closed, department stores, and electronic stores, now even specialty stores, threatened or forced out of business by something they can't possibly compete with. No physical store can stock its shelves with everything, or locate itself next door to everyone's house. What strikes you in reading this book was the cost within Amazon itself, the company that has designed itself to fulfil our dream. It's not easy to be "the everything store". Jeff Bezos is brilliant, no doubt, and the book shows that. Amazon is without peer in customer service, in organizing itself to get anything anywhere in two days or less. No doubt, Amazon and Bezos are right about what they want as customers. Amazon's success demonstrates that. And Bezos' vision and his ability to realize it is astonishing, and viewed from our perspective as customers, a dream come true. But there's a cost -- if this is what we want, do we also want the company behind it to be one that drives its employees the way that Amazon does and that treats its competitors as ruthlessly as Amazon appears to do? Jeff Bezos is right up there with Steve Jobs and Bill Gates as a game changer. This account does not hold back but is a great account of a modern phenomenon. One of those good business books -a must for all people interested in business.